My friend Jurgen found this original Panther Herrenrad (Gents Bike) for me in Germany some years ago. I’d seen a similar one on German ebay, and asked him about it; but he told me he was about to buy one in a collection and so I held on until he sorted it out. He delivered it to France and I dropped him something from my collection in exchange. My friends from other countries often point out how something that’s not rare in our own backyard is quite exotic in another country. 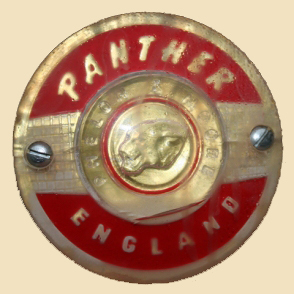 I was a member of the British Panther Motorcycle Owner’s Club for many years, though I sold my Panther motorcycle. So I’m happy to have a Panther again. 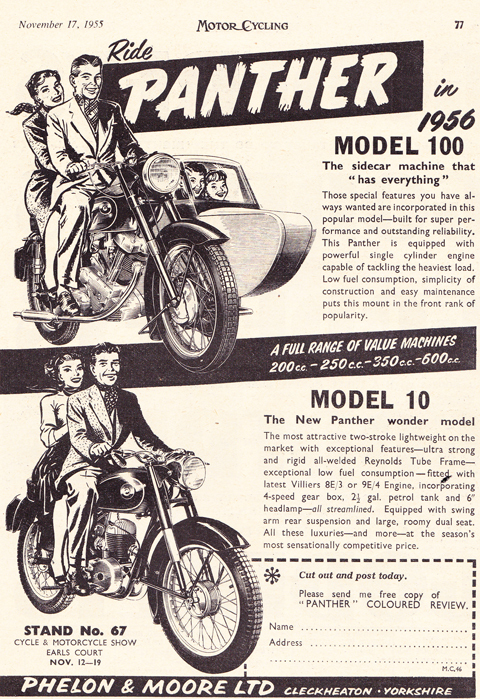 The name ‘Panther’ was used for motorcycles and bicycles by three unassociated bicycle/ motorcycle companies, in Great Britain, USA and Germany, as well as a company in France who built the British motorcycle under license for a short time. Great Britain: Though most British motorcycle manufacturers started as bicycle businesses, this was not the case here. 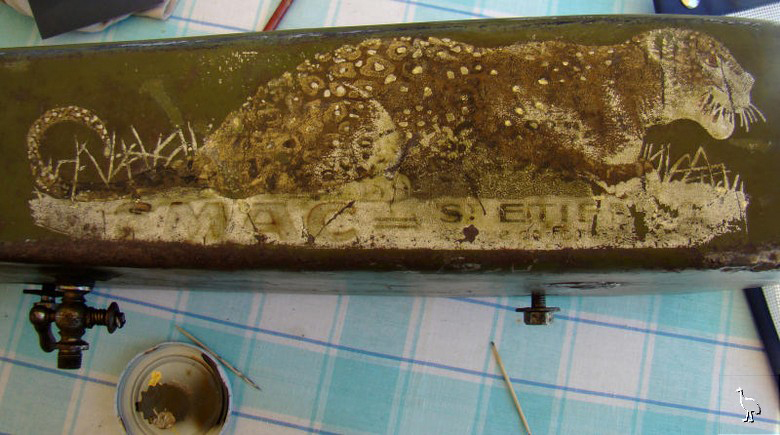 The British Panther company started as Phelon and Moore in 1904. The sloping stressed member concept was patented in 1900 by Joah (John) Carver Phelon and his nephew Harry Rayner. Phelon & Rayner made the first chain-driven motorcycle in 1900. 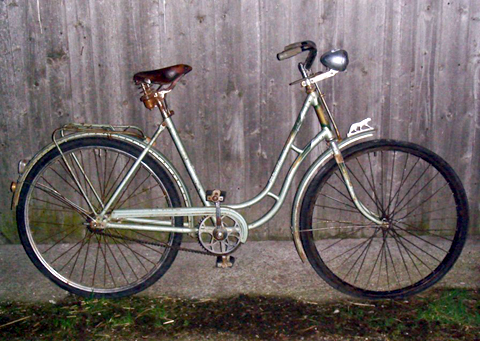 They could not afford to put their first bike into production, so sold the design to Humber for royalties, and that design was produced by Humber till 1907. After Harry Rayner died in a car accident, Joah Phelon went into partnership with Richard Moore. The P&M Panther was introduced in 1924 and it was known solely as ‘Panther’ after 1929. Below you can see the debut of the Panther Model 10, a 197cc Villiers powered lightweight version of the Panther Model 100. The Model 100 was normally used with a sidecar and provided family transport for a generation of British folk after WW2. France: S.M.A.C. of St. Etienne existed between 1924 and 1932. It seems they started out by building British Panthers under license, as ‘Motorcyclette La Panthere’ between 1924 and 1925 (see below). The example below is a later 250cc, so maybe they also tried making and selling their own machines. USA: Arnold Schwinn & Company, of 1718 N. Kildare, Ave, Chicago 39, Illinois, is probably the most famous American bicycle manufacturer. His company was one of the largest, and he had an enviable reputation as an innovator. Balloon-tire bicycles for girls and boys were introduced by Schwinn in 1933. 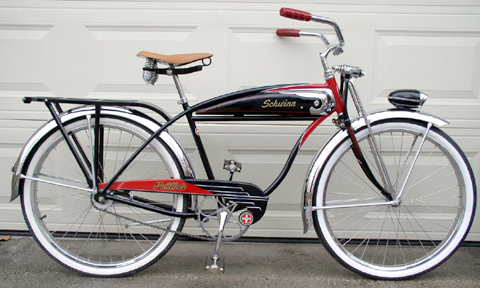 This style of cycle is back in fashion now, and many retro bikes that mimic the original Schwinn models are now made. 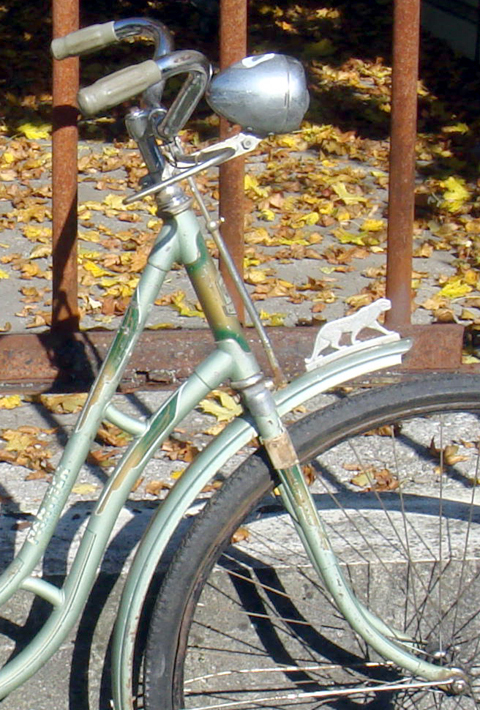 ‘Panther’ was used as a model name on both male and female Schwinn bikes postwar. The restored example in the picture below (I saw it on American ebay) is also from 1952, so it makes an interesting comparison with my more utilitarian (and unrestored) 1952 Panther from Germany. 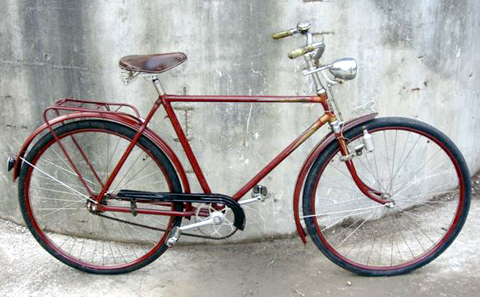 Panther Werke AG, Germany: As Schwinn Panther was only a model name, and the British company did not make bicycles, we have to look to Germany for the only true Panther bicycle. 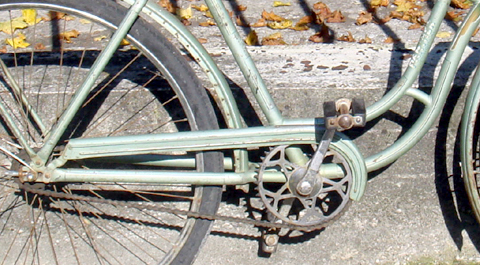 The company started as the Panther Bicycle Works formed by Ernst Kuhlmann & Co in Magdeburg in 1896. 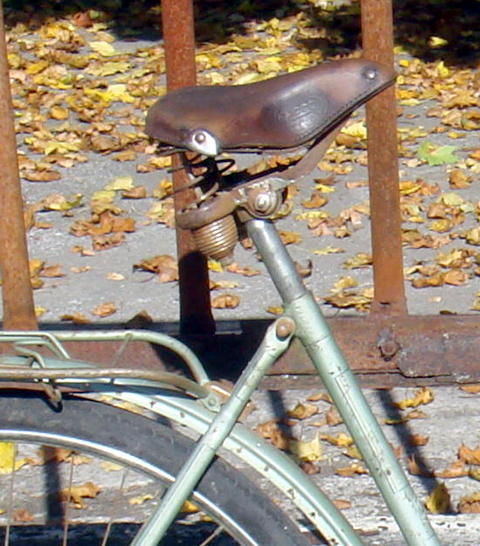 Bicycles were luxury items at this time, and the company had an extensive product range. 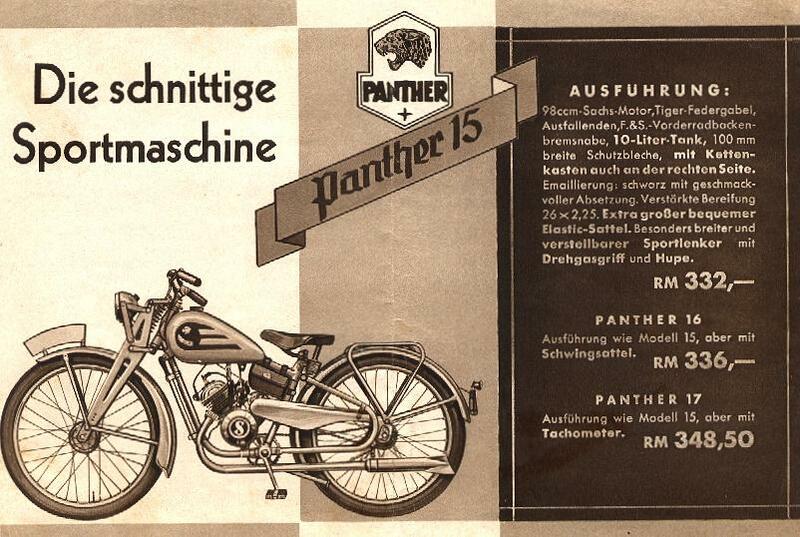 In 1907, there was a change of ownership and the company was renamed Panther Fahrradwerke. 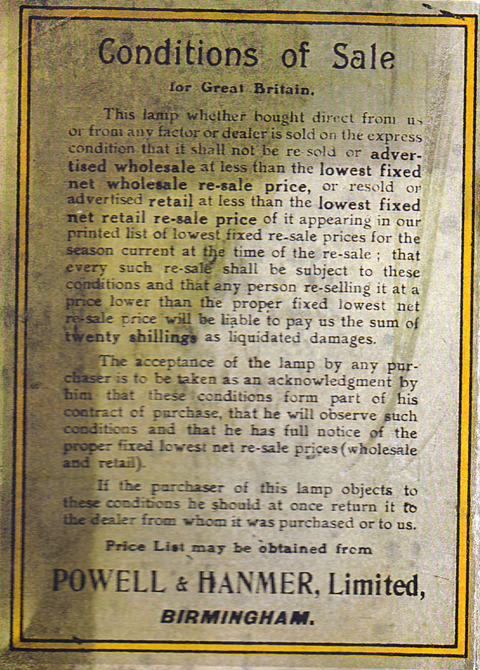 (I wonder if, the same as with the Victoria Cycle Company, the initial owner was forced out because he was Jewish?). The company merged with Brunswick (Braunschweiger Fahrradwerke AG), the Magdeburg factory was closed and production was now centred in Braunschweiger. Some motorcycles were made between 1907 and 1909, as well as sewing machines under the brand names Panther and Brunsviga. Panther focussed on bicycle production through WW1 and the 1920s, but also made full-size prams (baby carriages) and doll-sized prams. I don’t think they ventured back into motorcycle manufacture until, in 1931, Fichtel & Sachs brought out a complete ‘kit’ of engine, parts, staff training and excellent after-sales service that tempted most German cycle and motorcycle companies to add (first a 74cc and then) a 98cc two-speed lightweight motorcycle to their existing products. The brochure below illustrates the 1936 98cc Panther 15. After WW2, with restrictions on production of large capacity motorcycles in Germany, the moped and cyclemotor market opened up and in 1953 Panther made mopeds such as the ‘Bobby’ (with a Sachs engine) as well as the ‘Panther Baby’ in 1951, which was a Berini front-mounted cycle-attachment engine built under license. 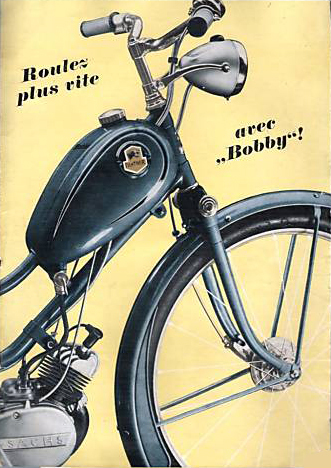 Below is a French advert for the 1950 Panther Bobby. 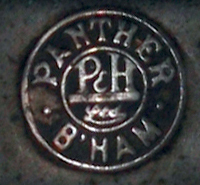 The Panther bicycle company still exists in Germany, based in Westphalia. Here’s one of the current offerings, a Trisalu TWS 26″ tricycle, that I spotted on their website. 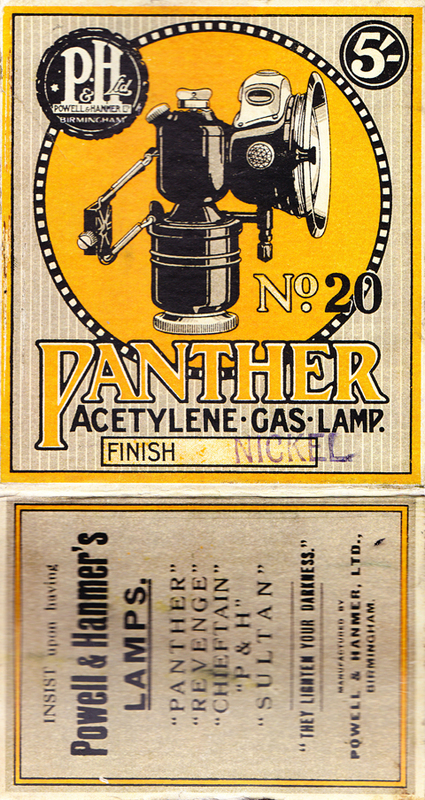 If you mention the name ‘Panther’ to British vintage bicycle enthusiasts, they’d not think of a bicycle, but recall the P & H Panther acetylene lamp, which was a popular means of illuminating your way for cyclists in the earlier years of the the twentieth century. 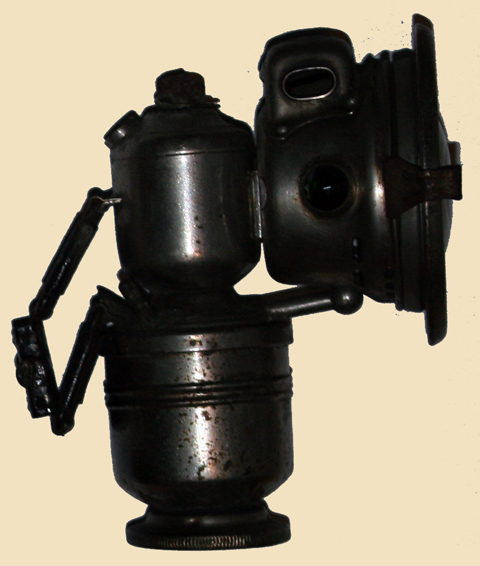 This budget-priced acetylene gas lamp was in production, with plenty of styling changes, between 1908 and 1939. 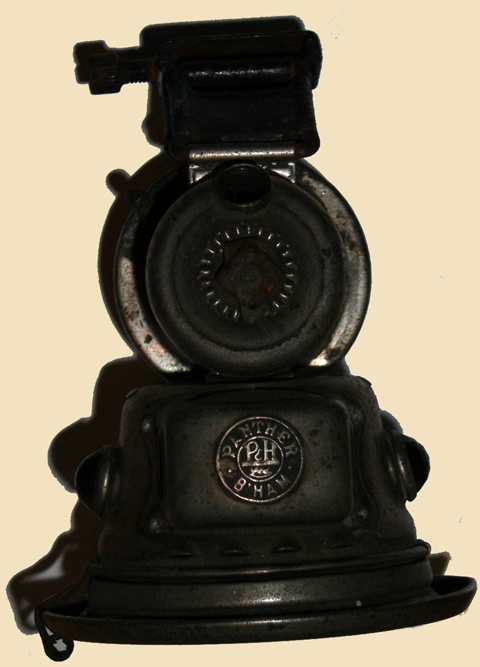 Below is the box for my P&H Panther lamp. I’m happy to report that the Panther Gents Bicycle now has a mate to keep him company. Jurgen found the Lady Panther pictured below for me too, and delivered the pair of them to Paris. I have to admit I’ve done absolutely nothing with them since I picked them up from Pat in Paris; they’ve languished in my shed ever since. But hopefully this winter I’ll get them on the road.